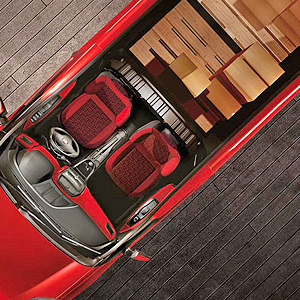 The Fiat Doblo is more spacious, more high-tech and more focused on savings than ever before. Depending on what you are carrying the Doblo can be configured to cargo, combi or crew van. 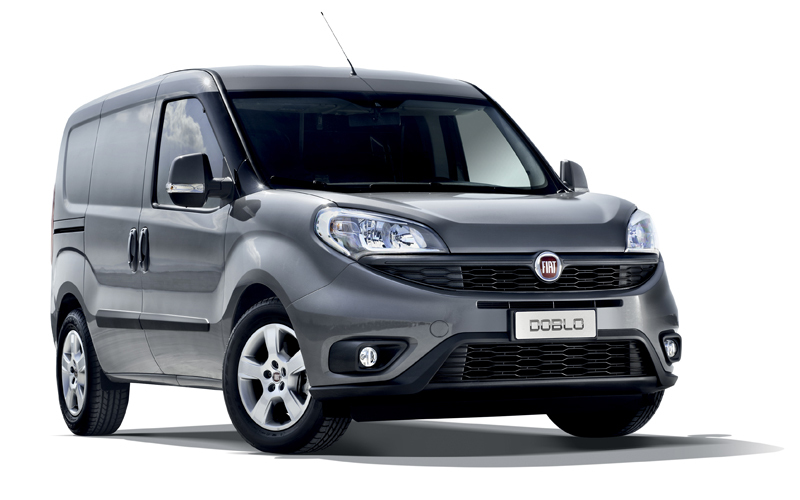 With even more functional and comfortable work environment the Fiat Doblo has the style of a car, increased performance and low running costs. The state-of-the-art infotelematic system has been fitted with radios featuring Bluetooth and USB port/AUX socket. It has a practical 180o rear door opening and the sliding door permits access to the load compartment even in tight spaces. Its low load threshold facilitates easy loading/unloading operations making the Doblo perfect for any use. The Fiat Doblo boasts generous storage pockets in the front door panels, large glove compartment, re-closable document clips and under-ceiling compartment so that you have everything you need for your day within easy reach. 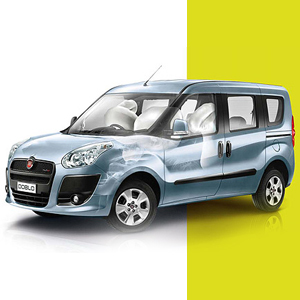 To ensure you use your Doblo to its full potential and save up to 15% on fuel costs Fiat have installed Eco:Drive which analyses your vehicle trip data and average fuel consumption, total distance covered, the impact of the load on the vehicle’s efficiency, use of the pedals, etc. It then suggests ways to make your driving style more economical and sustainable. Vehicle shown for illustration purposes only. 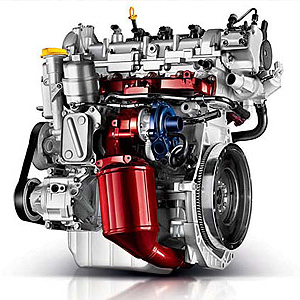 The wide choice of engines includes a 95 HP petrol and three multijet diesels of 90, 105 and 135 HP. 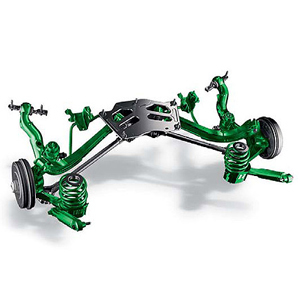 All four engines deliver generous torque and acceleration. Your workplace has never been so comfortable. The Doblo boasts independent bi-link rear suspension to deliver saloon car comfort while permitting class beating payloads. Safety at work is the new Doblo’s top priority with unrivalled safety for the driver and passengers thanks to a controlled collapse body shell designed to absorb impact safely and effectively. The load volume of up to 5m3, the load capacity greater than 1 tonne and internal width up to 2.07 meters makes the new cargo best in class. Vehicles shown are for illustration purposes only and subject to VAT at 20% + RFL & FRF. Please note prices are based on vehicle list price and subject to terms and conditions, available on request. Finance subject to status and offers only whilst stock lasts, business users only. This offer may be withdrawn at any time.